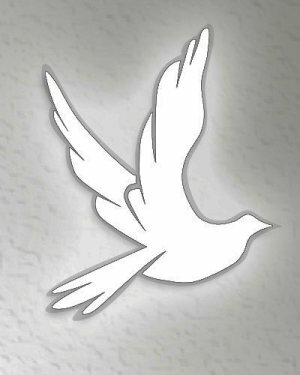 Obituary for Joann K. Dougherty | Todd Funeral Home, Inc.
Joann K. Dougherty, 79, of Brighton Township, passed away Friday November 30 in Heritage Valley Beaver. She was born June 29, 1939 in Aliquippa and was the daughter of the late John R. and Josephine Katroppa Kramer. Joann had been an LPN in the healthcare industry for over 30 years working for several Healthcare Institutions the last being Home Instead in Ellwood from where she retired. She was very devoted to her job as a caregiver. She was a member of the Beaver Baptist Church in Brighton Township. In addition to her parents, she was preceded in death by her husband Norman C. Dougherty in 1975. Joann is survived by a son Thomas J. Dougherty, Aliquippa, a daughter Melinda (Ron) Massie, New Brighton, grandchildren Amanda (David) Diddlemeyer and Katelyn (Travis) Debogovich, great-grandchildren, Nathan Diddlemeyer and Alexis and Danica Debogovich, brothers, Reno Kramer, SC, Robert Kramer, WV and John Kramer, Sewickley, PA and a sister Tammie Borys, Economy, PA. Friends will be received Wednesday from 2 – 4 and 6 to 8 in the Todd Funeral Home, 340 Third Street, Beaver where a funeral service will be conducted Thursday at 11 AM by her pastor Reverend Nathan Ruble. Interment will follow in Sylvania Hills Memorial Park, Rochester. The family wants to give a special thanks to all the staff and caregivers of Anova Health Care and Beaver Elder Care.